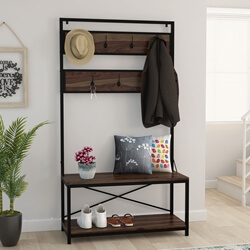 Emulate a visual and functional coherence in your entryways, foyers, and corridors by furnishing with our stylish Sapinero Rustic Solid Wood Wall Hanging Hall Tree Bench with Storage! 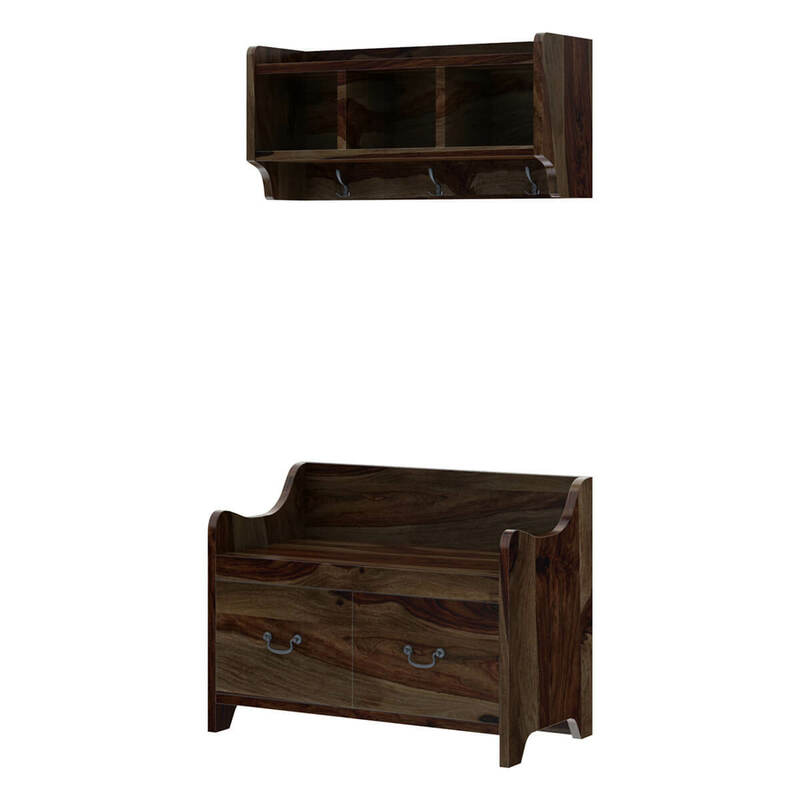 It’s absolutely stylish and has been sleekly designed to suit the architecture of all transitional spaces quite well. 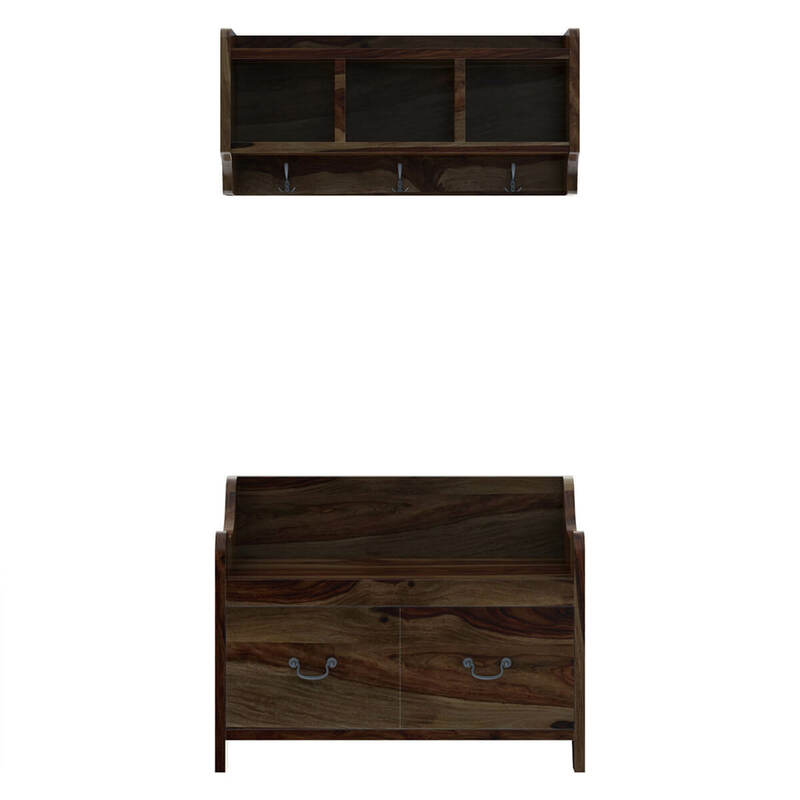 It has a gorgeous solid wood build and has a plethora of compartments where you can store personal items and even feature accessories. The sturdy hand craftsmanship ensures that it has a great heirloom quality! 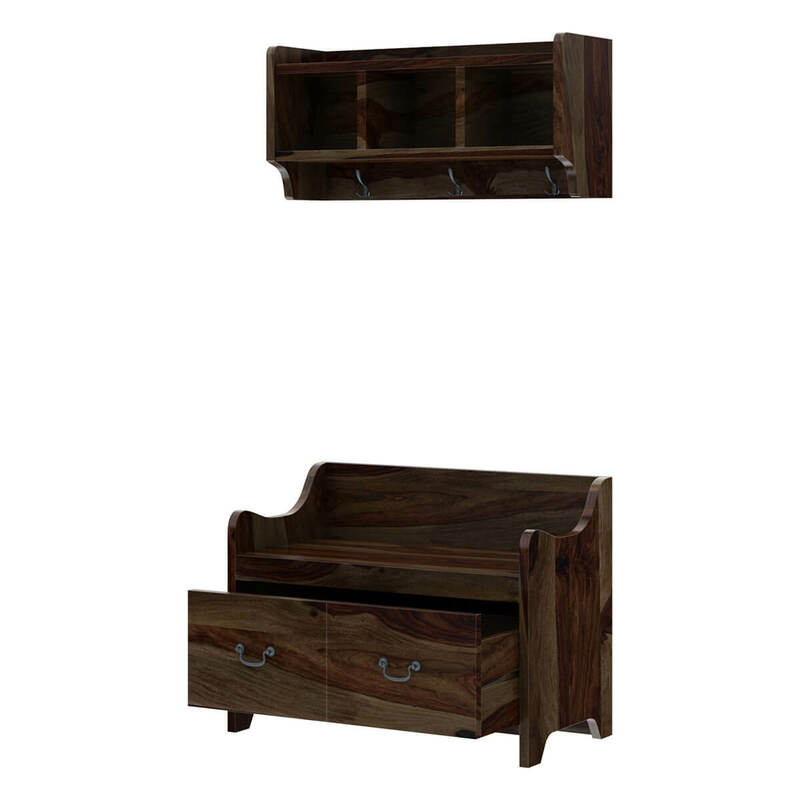 The design of this solid wood hall tree is divided into 2 distinct parts. The top half comprises a floating shelf that hangs a few feet above the bottom credenza. 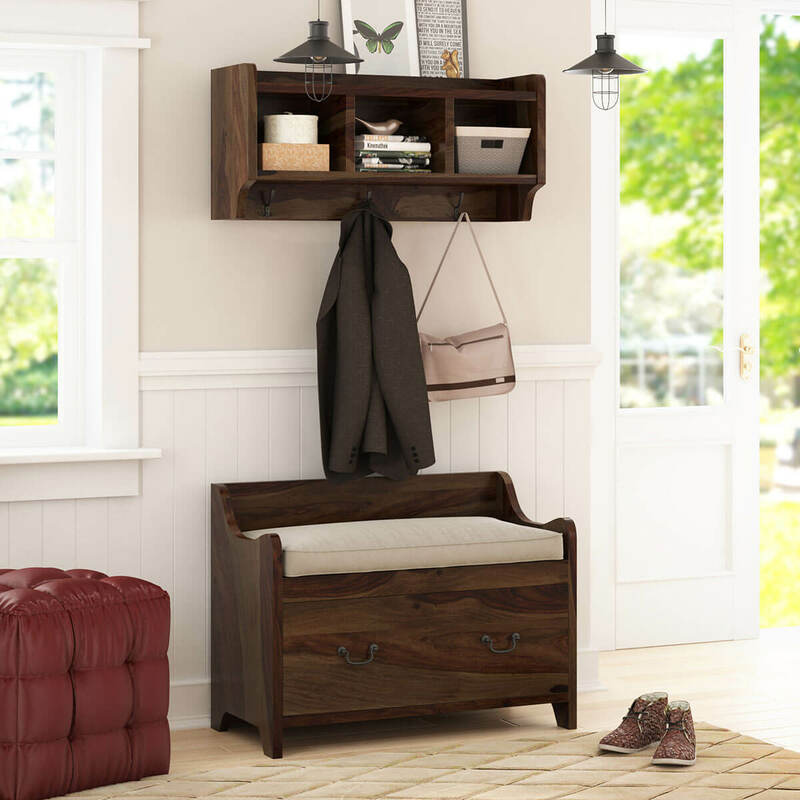 It has an open shelf on top with 3 open cubbies underneath where you can showcase trendy decoration pieces or neatly organize your shoes. Below the cubbies are 3 double prong stainless steel hooks, which can be used to hang coats whenever you arrive back home. The bottom half is just as simple and pragmatic with the design of a low back bench. 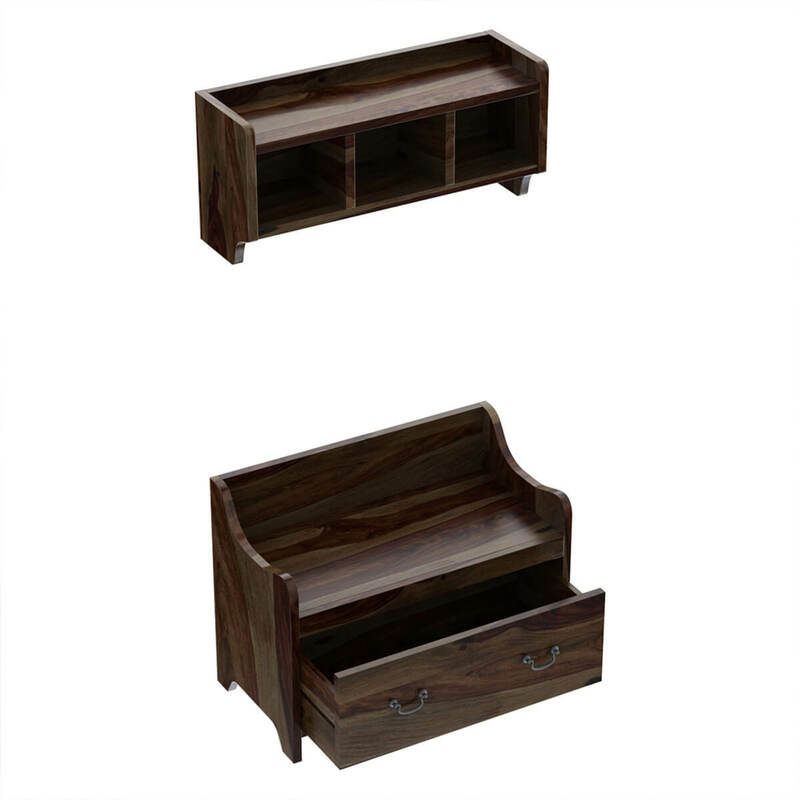 It has a top that is framed by extended dips and cuts, and here you can place a bowl for keys and whatever else you may need for going to-and-fro from the foyer and also use to sit while putting on your shoes. 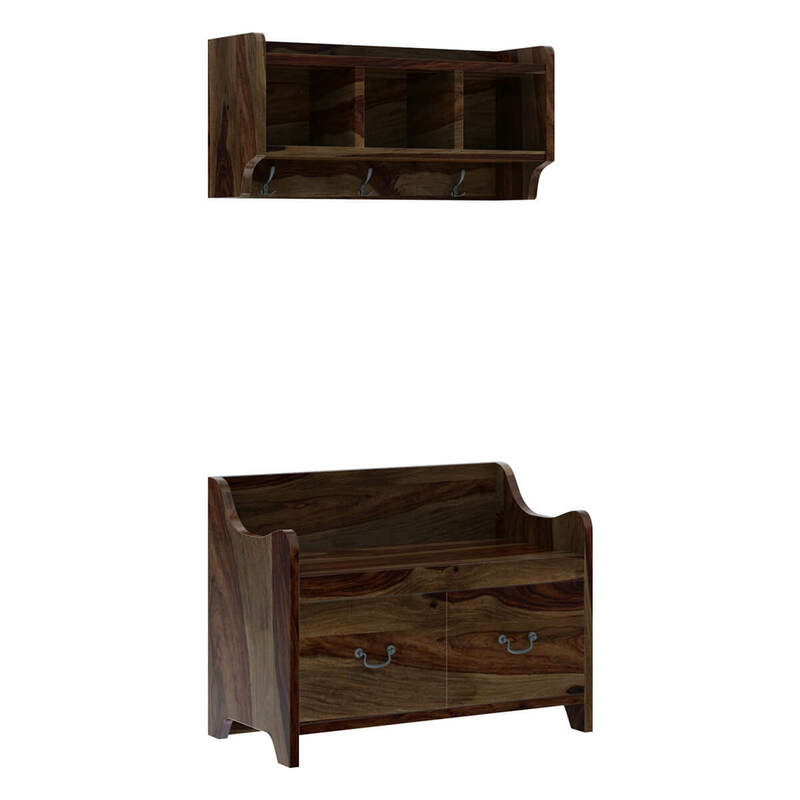 There are 2 pullout filing-cabinet style drawers at the bottom for extra storage and the base is supported by simple feet. 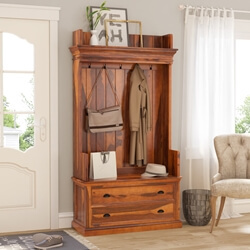 The sleek hand-rubbed finish and gorgeous wood grain of this solid Rosewood hall tree give it an interesting and visually versatile quality. You can definitely match it with any and all kinds of interior design settings.